A lovely and a love filled thanks e-card to send to your dear love and share your love. This picture provides you an opportunity to express your love at this moment. Thank your dear love for his/her love. 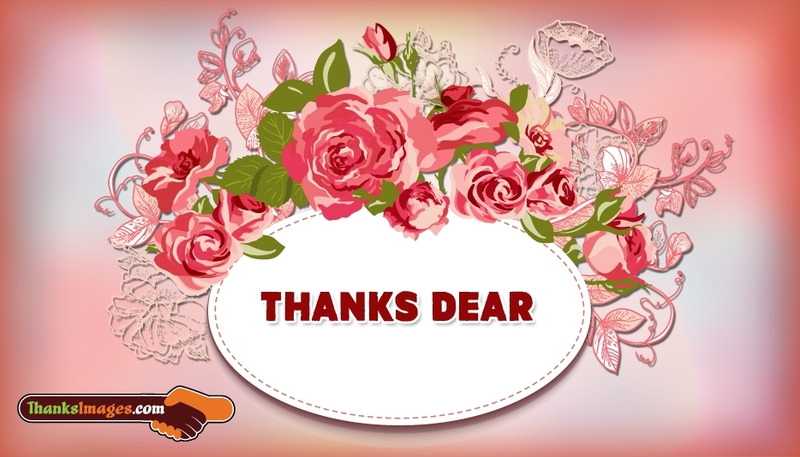 This pink shaded "Thanks Dear" picture could convey your love and affection to your love along with the thanking message.